Oneplus launched OnePlus 6 and OnePlus 6 Marvel Avengers in India last month now OnePlus has launched OnePlus 6 Midnight Black with 8GB RAM 256GB Storage variant for Rs 43,999 which will be available from 10th July. OnePlus 6 comes with Glass on front and back which is protected by Corning Gorilla Glass 5, does not support wireless charging. It has a 6.28-inch Super AMOLED display with a resolution of 1080x2280 pixels 19:9 aspect ratio. Powered by y a 2.45GHz octa-core Snapdragon 845 processor with 8GB of RAM and 256GB storage. On Camera, It has a 16-megapixel sensor and 20-megapixel sensor, optical image stabilization, portrait mode, 4K 60fps video, and improved low light performance compared to last year’s OnePlus 5T. The OnePlus 6 also supports super slow motion, allowing users to essentially suspend time. and 16MP front Camera. Dual SIM device runs on Android 8.1 Packed with a 3300mAh Battery. OnePlus 6 comes in Mirror Black, Midnight Black, and Silk White Editions. 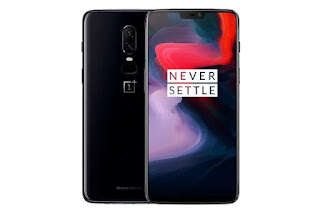 6GB RAM cost Rs 34999 , 8GB RAM +128GB Storage Rs 39,999 , Midnight Black 8GB +256GB cost Rs 43,999.OnePlus 6 Avengers Edition comes with 8GB RAM and 256GB storage and is priced at 44,999.